Awesome Quest Mysteries, 9781946650030, 202pp. 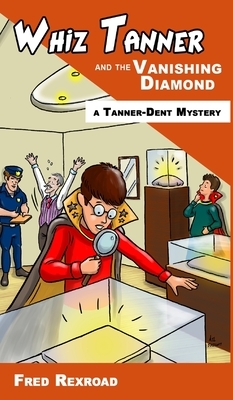 Will magic and detection collide when Whiz and Joey set out to solve a simple burglary? The big question they must answer is how a diamond could disappear without anyone near it? Magic? Our young heroes must find out. This is only the beginning as the Tanner-Dent Detective Agency closes in on solving the crime. Will the suspect figure out they know too much and try to eliminate Agent M and Agent K? They must take that chance and follow the clues--to the end.